Training Independent Contractors -- Legally! 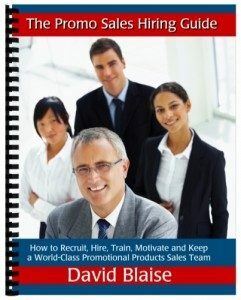 This Guide is a comprehensive tool/roadmap to hiring Salespeople in particular. And, the process can be used to hire other positions also. The focus on vision is “on pointe” as all objectives/goals of the business should tie to the Vision/Mission of the company. Also, you debunked the myth about not being able to hire Salespeople which has always been my reason. This Guide is about process and is excellent! Written by a true promo products professional. It was a very enlightening report. It pointed out a lot of things that I haven’t thought about. I now realize how many things I need to do before looking into hiring someone. I have a lot of research to do before going forward. I am looking forward to growing my business in the future. This report was very informative and thought provoking. I believe training is the stepping stones for success in any career endeavor. With that said, high quality training is what we should always strive for. It is great to have a document such as this available for reference that talks about some of the important issues confronting us as we make critical day-day training decisions.